Mackey International is an aviation consulting firm specializing in aviation safety, risk management, accident investigation, air carrier certification and safety/compliance audits. FAA Part §121 Air Carrier Certification and Operations: Over 38 years experience in domestic and international Part §121 airline operations with a broad background in the certification process, training and operations program development, compliance auditing and preparation for NASIP and RASIP inspections. Over 17,000 hours and 33 years as Captain of B-747, A-300, DC-10, and B-727 operated under Part §121 with over 300 Atlantic and Pacific Ocean crossings. Experienced as Manager of Flight Standards, Check Airman, Director of Operations and Chief Pilot. FAA Part §135 Air Carrier Certification and Operations: Over 20 years experience in Part §135 helicopter and airplane operations and management. Work has included the certification process, development of training and operations procedures, record keeping system development, compliance assurance programs and implementation of Cockpit Resource Management procedures. 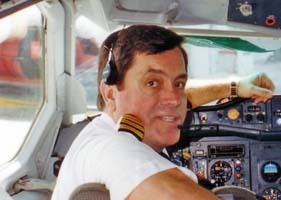 Experienced as line pilot, Director of Operations and Chief Pilot. Flight Training: Over 6,000 hours and 45 years experience as a flight instructor or check airman in airplanes and helicopters. 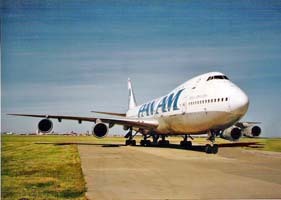 Pan American International Flight Training Academy simulator instructor in the Boeing 747 and A-300. Served as FAA designated pilot examiner (FAA Part §142 Training Course Evaluator) empowered with issuing FAA Airline Transport Pilot Certificates and Type Ratings in the Airbus A-300 aircraft. Helicopter Operations: Founder and President of Heliflight, Inc., a commercial helicopter operator and aviation consulting firm. 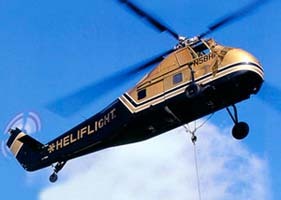 Heliflight was the largest helicopter flight school in the Eastern U.S. and was the top domestic dealer for the Robinson Helicopter Company. The Company held the FAA contract to provide all initial and recurrent helicopter training to FAA Aviation Safety Inspectors and also did extensive charter, government contract, ENG, and construction support work as well as aircraft maintenance. Obtained FAA Part §135 air taxi, Part §133 helicopter external load, Part §141 approved flight school, Part §137 agricultural operator and Part §145, approved repair station certificates. Responsible for preparation of all manuals and training programs, FAA liaison, contract negotiation, personnel administration and financial policies. Set all policies involving flight operations that resulted in over 60,000 safe flight hours. Acted as a pilot/flight instructor for all operations including heavy lift external load operations, charter, aerial photography, student and employee training. Qualified by the U.S. Department of Interior as an External Load (Sling), Fire Suppression (Helitack) and Fire Retardant/Water Dropping helicopter pilot. Airworthiness Experience : Holder of an Airframe & Powerplant mechanic certificate with an Inspection Authorization for over 35 years. 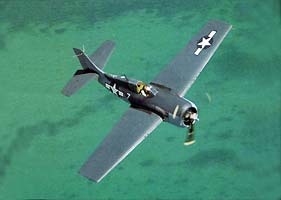 Extensive "hands on" experience in light airplane, warbird and helicopter maintenance. Experience in Part §145 Repair Station certification, aircraft records, maintenance procedures, development of record keeping systems and compliance auditing. Accident Investigation: Airline Pilot Association trained accident investigator with experience in Part §121, Part §135, general aviation and military accidents involving both fixed and rotary wing aircraft. Experienced in working on accident team with NTSB investigators as Chairman of the ALPA Miami Safety Committee. Expert Witness: Experienced as an expert witness in researching, evaluating and analyzing available data to form opinions regarding aircraft accident or mishap reconstruction. Experienced in expert witness testimony and case development. 64 other airplane and helicopter type ratings with experience in over 200 aircraft types. Please email for further information and examples.